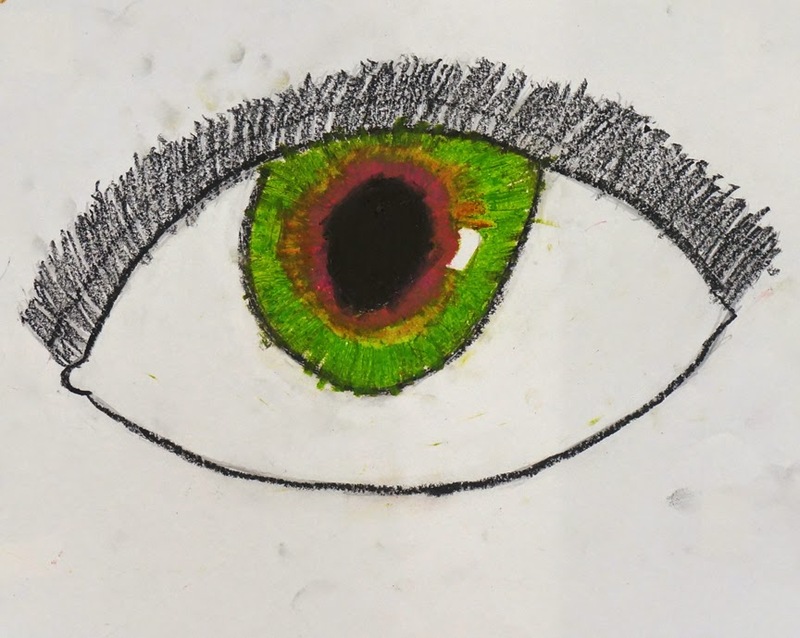 As our artists transition into the upper grades, I put a bit more emphasis on attention to detail. 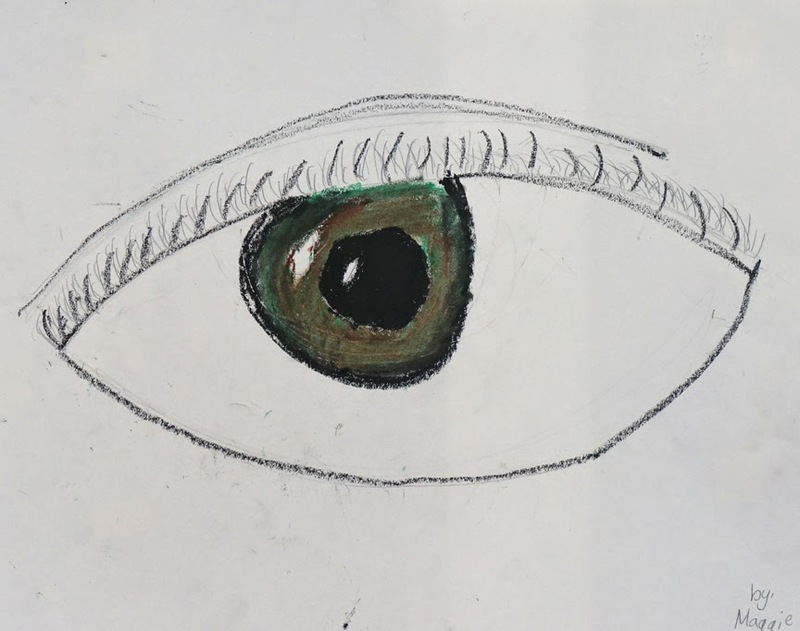 I also keep encouraging the students to think of their art not in terms of the final product, but as a process that begins with thinking about their subject as its most basic art elements: lines and shapes. 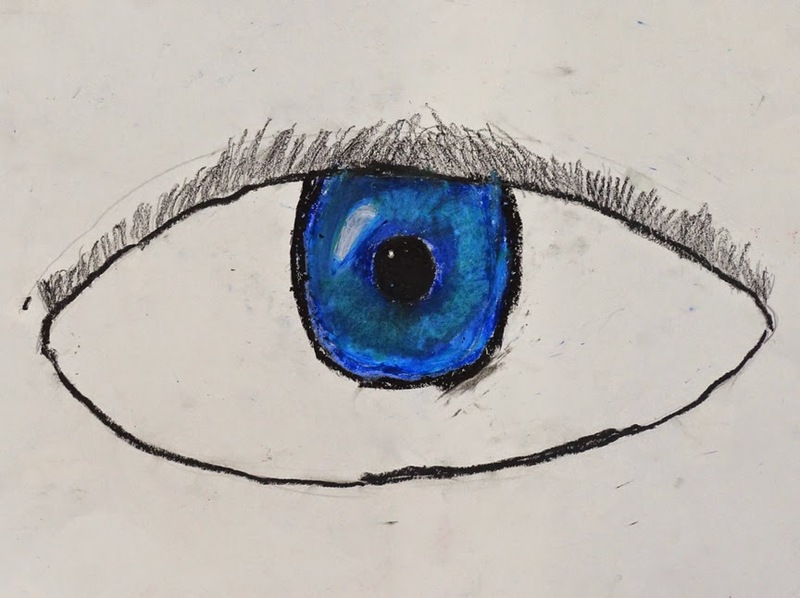 Drawing and coloring a human eye allows them to practice both. 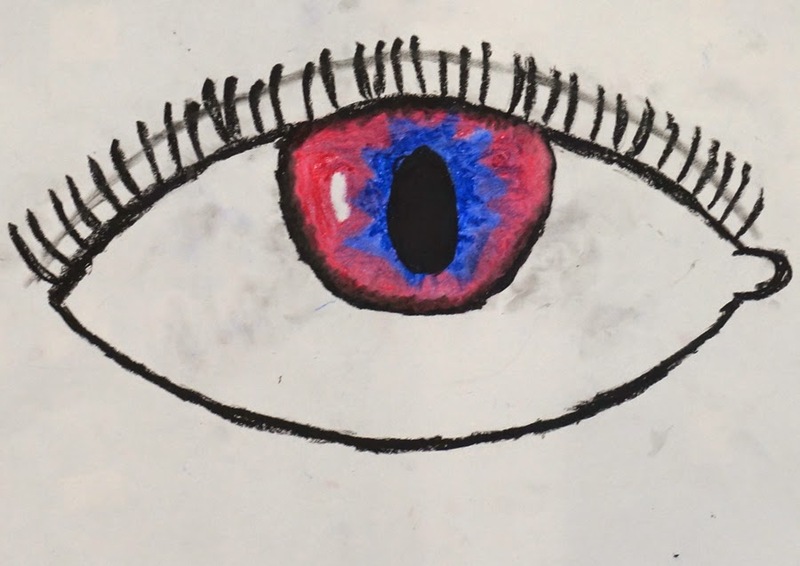 We spend some time looking at close-up photos of eyes and even talk a little eye vocabulary (pupil, iris, sclera) and science (most students are fascinated to realize their pupil is a hole for letting in light, not just a black "dot"). We then focus on the basic curved lines that create a "footbal" shape for our eye and add some other curves for lashes and lids. 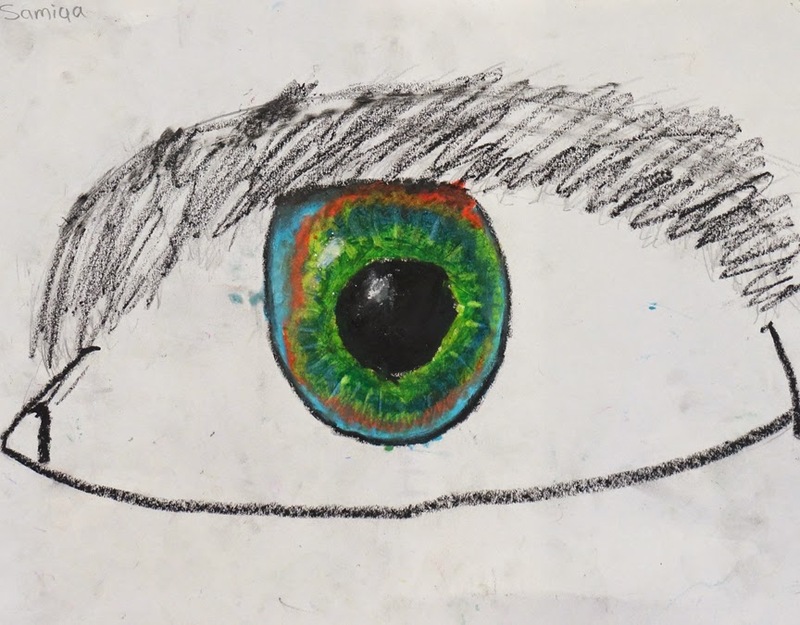 Coloring with oil pastels (and looking closely at the multiple colors in the the irises of their neighbors) allows the artists to use and blend more than one color to make some pretty realistic and colorful eyes. What a great idea! 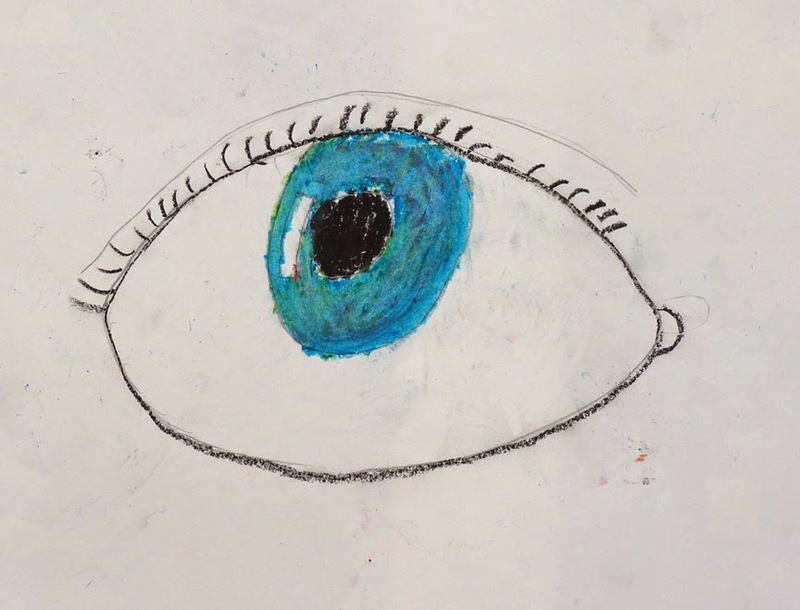 These are beautiful and really enforce the practice of "looking" to draw what you see.